Gun laws range from state to state, and it can get confusing keeping track of all the ones that apply to you as a responsible gun owner in the state of Maine. Fortunately, Maine doesn’t impose too many laws on its gun-owning population, so rest assured your freedoms are safe! In this guide, we’ll go over everything you need to know to buy and own a gun, and more importantly, when and where you can use it! No permit is required to buy a handgun in Maine, but there are some requirements to watch out for. Sign an acknowledgement that you received a basic firearms safety brochure. Signing the acknowledgement may not seem important, but it’s still the law so you’ll want to make sure you follow it to the letter! You have to sign the acknowledgement in the presence of the firearms dealer that you buy it front, and keep it afterwards. While the state only requires you to be 18 or older to buy a handgun, federal law requires you to be 21 or older to buy a handgun. So what does that mean? Basically, you can only buy a handgun from a private seller if you are between 18 and 21, since your local gun store is a licensed firearms dealer, and is subject to federal law. The upside to buying a handgun through a private sale is that you can avoid the background check and the acknowledgement! But it’s always a good idea to be aware of firearms safety no matter what! You didn’t think it would be that easy, did you? 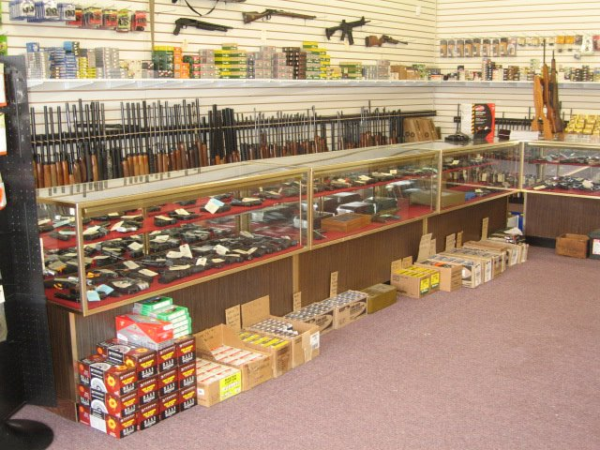 In addition to those steps to buy a handgun, there are certain situations that prohibit you from buying a firearm. One thing to watch out for that is specific to Maine is that juveniles convicted of non-violent offenses are prohibited from owning a firearm for three years, or until they turn 18, whichever is longer. The rest of the prohibitions follow the federal law. Hopefully none of these are issues for you, and you can head off to your local gun store to pick up that shiny new 1911! While you’re busy trying to decide which handgun to buy, you might want to think about getting a long gun while you’re at it! The process is almost the same, but without the additional safety acknowledgement form. No permit is required to buy a long gun either. Easy peasy! And just like with handguns, you don’t have to go through the background check if you purchase a long gun through a private sale. As an added bonus, if you are buying from a private seller, you only need to be 16 or older, not 18! If you are under 16, however, you need to be careful. It is illegal to buy air rifles, gunpowder, or ammo for a firearm if you are under 16, unless you are accompanied by a parent, guardian, or an adult approved by a parent or guardian, and the purchase was for use of a firearm while being supervised. But that doesn’t mean you can’t have any fun! Maine grants hunting license for anyone 10 or older! That’s right! Ten years old! However, hunting if you are under 16 years old requires approval from a parent, guardian, or someone 18 or older, who has a valid Maine hunting license, or has completed a hunter safety course. 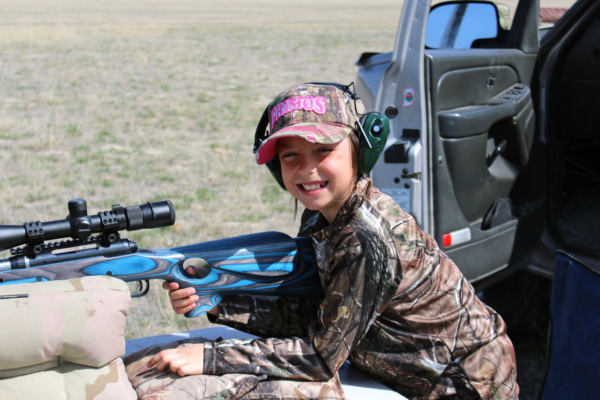 If you are 16 or older and have a junior hunting license, you must complete a hunter safety course in order to hunt without adult supervision. Once you have your guns, you can show them off to all your friends! And strangers! Open carry is allowed in Maine without a permit. Even better, if you are 21 or older, you can carry a concealed handgun, no permit required! If you’re not 21 yet, you might still be able to carry concealed! On active duty in the US Armed forces or National guard or were honorably discharged. Even though you can carry concealed without a permit, Maine does issue CCW permits, for people who want to be able to carry when they are out of state. To learn more about getting a permit, hop over to our Maine CCW section. For everyone else, you’ll need to be aware of where you are, even if you are openly carrying. A general rule is that if a place has metal detectors, your guns probably aren’t allowed. It is also a good idea to rethink openly carrying your handgun (or AR-15!) if you will be the only one doing so, since you might draw unwanted attention. School zones (the area within 500 feet of a school or school grounds). If you have to go to any of these areas, it’s a good idea to leave your gun behind, either at home or locked away in a car safe hidden out of sight. 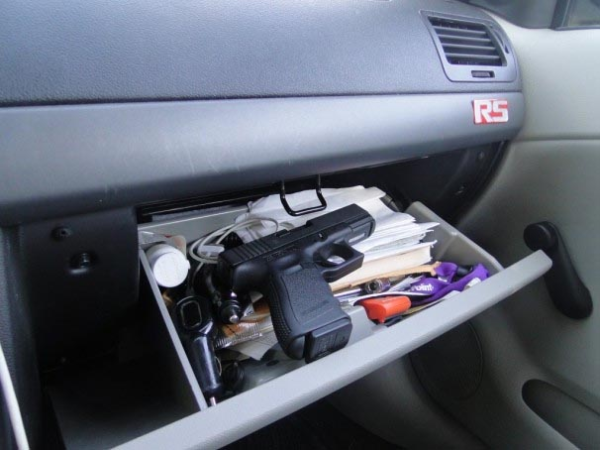 If you do decide to leave your gun in the car, whether because you’re going somewhere firearms are prohibited, or just taking it to the range, there are a few things to keep in mind. When you’ve got a gun in the car, the gun cannot have a cartridge or shell in the chamber or in an attached magazine, clip, or cylinder. For those of you with slightly older firearms, a muzzle-loading firearm cannot be charged with powder, lead, and a primed ignition device. Basically, don’t keep it loaded! Since concealed carry is allowed without a permit, you can have a loaded handgun in the car with you! If you don’t have a CCW permit though, you must immediately inform law enforcement officers you are carrying concealed, whenever you come into contact with them (i.e. at a traffic stop, during an arrest, etc.). You do not want an officer to find out you’ve got a 1911 strapped to your hip while he is patting you down. When Can You Actually Use Your Gun? Of course, for many people, the practical aspect of having guns is being able to defend yourself if you’re ever faced with a threat to yourself or your loved ones. The state of Maine recognizes this right, and lets you protect yourself when faced with a threat. Sort of. The person has entered or is attempting to enter your house without permission. But, you can only use deadly force if you first demand the person stop what they are doing, unless it would be dangerous to make the demand. In other words, if it is safe to do so, you need to ask the bad guy to stop what they are doing and go away. Seriously. 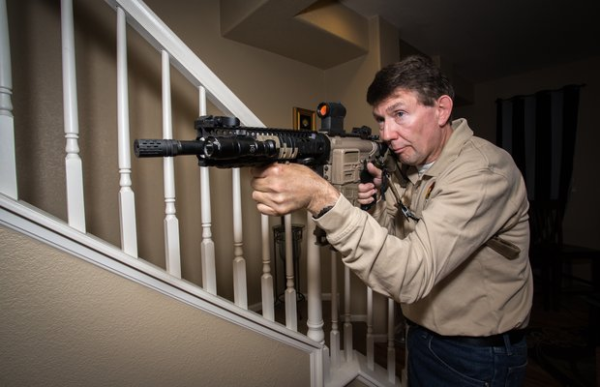 With the requirement that you demand the bad guy stop what they are doing before you can use deadly force, it should not be a surprise that you are not allowed to “stand your ground” when faced with a deadly threat outside the home. If it is safe to retreat, you must do so. Follow a demand to not do something (i.e “stay on the ground and don’t move!”). Basically, you are not allowed to stand your ground when you are outside the home, and should retreat whenever possible. It’s not the best way to be able to defend yourself, but it’s better to run away and leave things to the cops than end up in jail because you decided to actually try and stop the bad guy. 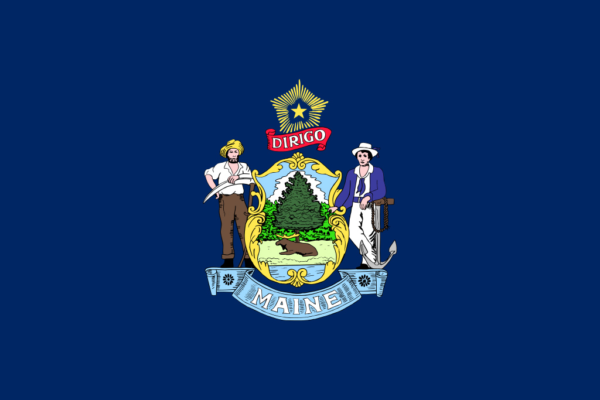 You now know everything you need to about the gun laws of Maine! Unless you’re interested in getting a CCW permit, in which case, go check out our CCW section! If you don’t need to learn about CCW permits, that’s okay too! But don’t forget to buy a nice and sturdy safe to keep all those guns you’re gonna buy. A gun cabinet or handgun safe would be a good place to start, and can keep our guns away from kids. Once your gun collection starts to grow, a sturdy long gun safe may be a better option.